Different from surcharge fees and service fees, convenience fees are for merchants who offer an alternative payment channel, such as mail orders, telephone orders, or e-commerce sales. 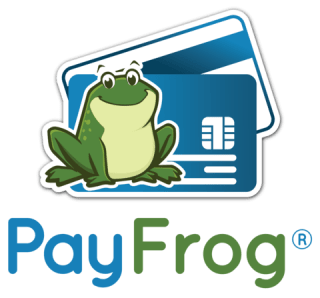 Essentially, these alternative payment channels are offered as a convenience to consumers so that they don’t have to drive to the physical site of the business to pay with cash. Some businesses will offer a discount on the purchase if it is made with cash, check, or some other non-electric fund transfer. It sounds unfair because it is so similar to credit card surcharging in Colorado, but the expression of the lowered pricing makes it legal because consumers won’t be surprised with add-on fees at checkout. Offering cash or check discount incentives does not break the law if the discount is offered and made aware to all prospective buyers clearly and prior to any purchase. Debit cards in any state are not allowed to be surcharged at all. Regardless of your residency, if you experience credit card surcharging in Colorado, you can be refunded the whole surcharge. Additionally, companies can face up to a $1,000 violation per offense. You can report a complaint through the Better Business Bureau and the CO Attorney General. If you want to keep from being surcharged immediately at the register, make sure you notify businesses that it is illegal. Don’t be bullied by them. Stand up for your rights. As a member of the Better Business Buereau, we highly value transparency and truthful education with our clients. You deserve to understand what fees are legally allowed to be passed to cardholders and how to spot an unlawful company performing unethical credit card surcharging in Colorado. Does your current processor educate you and treat you like we do? Please feel free to visit our blog page to learn more or post your story in the comments section below!